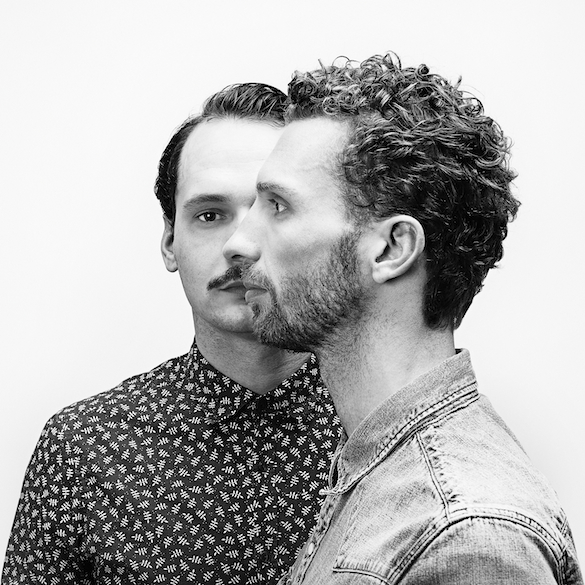 Amsterdam residents & deep house dons Detroit Swindle aka Lars Dales and Maarten Smeets are without a doubt one of the hottest DJ & Production duos around. 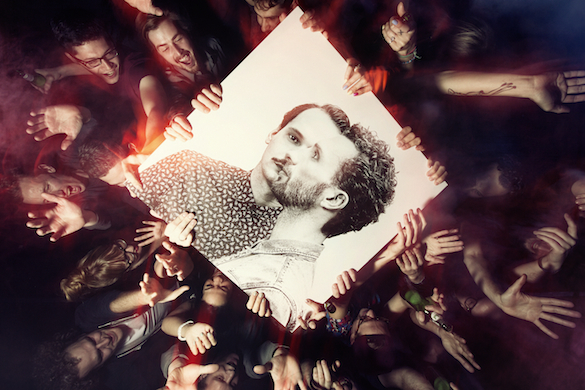 Both joined forces in 2010 and dropped their 1st release in 2011 entitled The Wrap Around EP. Since then, their DJ & Production career has blown up with releases on labels like Dirt Crew, Freerange, Tsuba, Jalapeno & Wolf Music – along with playing out weekly at some of the most respected clubs around the world. We’re good thanks! at the moment, we’re having a crazy week in the studio setting up our new live show and shooting a backstage documentary with “take me backstage”. Good fun! Maarten: Peter from Dirt Crew and Kai from Word and Sound actually pitched the idea for us to do an album with us last year, because they thought it would be a great next step if we’d be up to it. To be honest, we’d been thinking about it, but thought it wasn’t the time yet since we’ve only been releasing for a few years. But after a few drinks and talks together, we decided it would be a really inspiring thing to do and a great way for us to explore the whole ‘swindle sound’. We’re producers with quite a dance floor orientation, so we wanted the album to have enough dance floor focus and not suddenly be a complete leftfield project. We wanted to work in different tempo’s, see how we could incorporate the genres like hiphop and disco that have inspired us from the beginning to do what we do, and really bring an LP that has a feel of a whole night clubbing. So there’s some downtempo stuff in it, some disco-ish tracks, some full on house bangers and some deeper stuff. Even some hiphop for the encore to a great night out ;). I hope we can make our fans happy with this and maybe even surprise a few people along the way. 3) Any interesting, funny, inspiring, memorable moments during the album process you can share with us? Maarten: We’d been chatting with Mayer Hawthorne for almost half a year, trying to find a moment to get into the studio to record his vocals. We were getting really close to the album deadline, so we kinda got worried it wouldn’t work out after all. Then, at a random night during Amsterdam Dance Event we were playing a set at Red Bull Radio, he suddenly sends us a text telling us he’s in town and ready to do the recording that night. After a lot of phone calls, we managed to get a sound engineer in, get to the Red Bull Studio, keep the whole building open way beyond closing time and recorded the track with Mayer. That was a weird and great moment, cause we hadn’t heard his vocals nor the lyrics up till that moment. Lars: It’s a funny thing, but even when we play out a track of ours that we’ve never played before, people usually come up to us and say ‘this is yours!!!’.. So I reckon its the type of swing we put in our tracks that really give it that specific DS sound. There’s a certain type of energy in our tracks and the way we program our beats and place our elements, so “Swing” would definitely be the one thing that characterises our music. 5) Any advice for your fans on how to make it in today’s fast paced game? Lars: Be genuine. Don’t try to emulate a sound that is doing well in the charts or whatever but really, really try to develop something that is true to yourself. That’s the only way you can be both successful, and proud of what you’ve accomplished. 6) Where can your fans catch you in playing over the next few months and what is next for you? We’ve got a bunch of really cool gigs coming up. We’re going to Moscow and St. Petersburg and we finally going to South Africa, where’ we’ll be playing for The Warm Up in Johannesburg and Cape Town. It’s amazing how many people from South Africa have sent us messages that we need to go there, so now that it’s actually happening, we’re super excited to see what it’s gonna be like. Biggest thing is probably our album release party in Amsterdam and this is only in the next 2 months, the rest of the year is gonna be equally amazing. Maarten: Lars used to be a mean chef and makes the best “Chicken rice” in Amsterdam. But, according to him, next time we’re in Singapore, we’re going to have it at some weird place that beats his by a mile. I used to be a bell-boy in a hotel. during the night shifts, Me and the guys from the bar, we’d always raid the kitchen and make the meanest sandwiches and get way too drunk. 8) What’s next for you? We’d give J. Dilla a call straight away if he’d still be with us. We’d love to share ideas with someone like Premier as well and the thing we like most about collaborations in general, is when they’re with people from different genres. Getting into the studio with someone like Kendrick Lamar would be awesome, as would be to record something with Joe Dukie from Fat Freddy’s Drop. So Kendrick, Joe, if you’re reading this, give us a call next time you’re in Amsterdam ;). 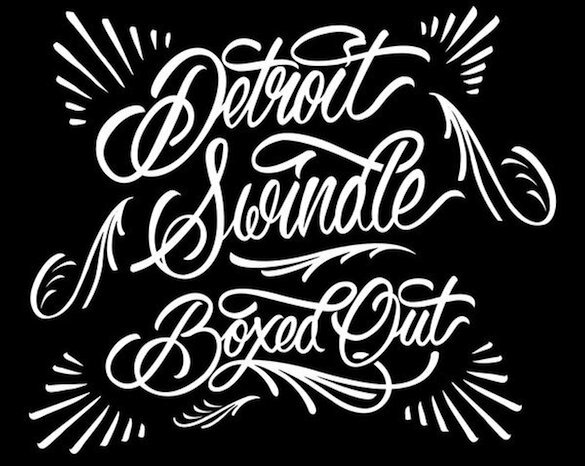 Detroit Swindle debut Album ‘Boxed Out’ is out now on Traxsource.